Do you remember exactly what you did last week and every penny you spent? If you are working hard building your business it’s easy to forget every detail and that’s why regular, short bursts of focused effort on admin is a crucial part of keeping you on track. Effective record keeping is the only way of keeping track of your business finances and therefore the health of your company. Very few people thrive in a cluttered environment but when you are running your own business it can be all too easy to amass piles of receipts, invoices and notes to remind yourself to keep track of your timesheets with a view to ‘sorting it out later’. There’s a balance to be made – you don’t want to spend all your time organising, record keeping and filing (often used to procrastinate over a bigger job) or leaving it all to pile up. In this guide, we’re looking at what you need to track and when. Record keeping should be quick and easy and it should deliver all the information you need to file VAT returns, pay expenses and bill clients. If you’re spending hours tidying up the files and trying to match receipts with your bank statement; then an organisational overhaul is needed. Getting your recordkeeping and day-to-day management right at the start will save you time and free you up to be more productive. Put simply, to remain in business you need to ensure that you have enough money to pay the bills. That means that you need to ensure there is adequate cash flow or investment to satisfy outgoings. Keeping track of expenses and more importantly future liabilities will ensure that you retain enough cash within the business to stay in business. Approximately 80% of small businesses fail because of cash flow issues – not ensuring they had enough money coming into the business to satisfy the outlay. As a business you also need to ensure you have an auditable trail for anything that is related to what HMRC is likely to require records for, these records need to be kept for at least six years. This covers income and Corporation tax as well as VAT returns, plus IR35-related information. It can sound complicated, but simple tracking can ensure you have all the information you may need at your fingertips. To ensure you are as efficient as possible, you need the information that enables you to bill clients quickly and accurately, as well as pay yourself a salary and any business expenses incurred. We’ll talk more about billing and paying yourself in later instalments in this series, but we’ll cover all the things you need to track in this guide. Tracking your time via a timesheet system allows you to allocate hours to a specific contract or task. This information is used to bill by the hour or day for contracts or projects, but it is also an effective way of measuring productivity and can help you provide better estimates as to how much time is required to deliver similar projects in the future. If you have variable rates for clients, then you will also need to cross reference against these to ensure your billing is correct. Your timesheets need to be available to input the information into your invoices for clients/agents. Having some narrative regarding the tasks can help with ensuring speedy invoice payment as well as providing supporting evidence should HMRC query the IR35 status of the related contract. You can also use your timesheets to calculate your pay if you prefer to flex your salary to reflect the amount of work you’ve completed that month. Short narrative relating to tasks involved. Invoices relating to timesheet entries. Expenses can sometimes be the most difficult items to keep track of from a business perspective but there are some sure-fire ways to ensure that you track them quickly and properly. Track and record as you go. Small expenses can get lost in the pile of papers, especially if it’s a train ticket or subsistence items while working on site. Record as you go; make a note against each receipt or use one of the many apps designed to capture all the information you need. ‘Receipt Catcher’ is an app that you can use to scan the receipt and then make notes so you can upload the info when you get back to base. Make sure you keep the receipts safe and filed chronologically and scanning them in is also a great idea as this will allow you to retrieve them wherever and whenever you need them from an e-folder. There are rules regarding what constitutes a business expense for tax purposes. HMRC is clear on what is an allowable business expense: “The costs you pay with the sole purpose of earning business profits are allowable expenses”. Essentially an expense is an allowable business expense if it is for the sole use of the company and is essential for running the company and therefore earning profits. That means items bought for both personal and company use should be avoided where possible. There is a list of allowable expenses here, and the next article in this series also covers business expenses in more detail – see ‘next steps’ for more information. To track the expense in terms of outlay from the business. To ensure the correct VAT is applied (to complete VAT returns at a later date). Business expenses must be recorded correctly and the receipts as well as any delivery/order documentation kept as an auditable record of the transaction. By keeping detailed records of your business expenses you can build a picture of your outgoings enabling you to identify areas of concern and potentially time expenses to smooth your cash flow. 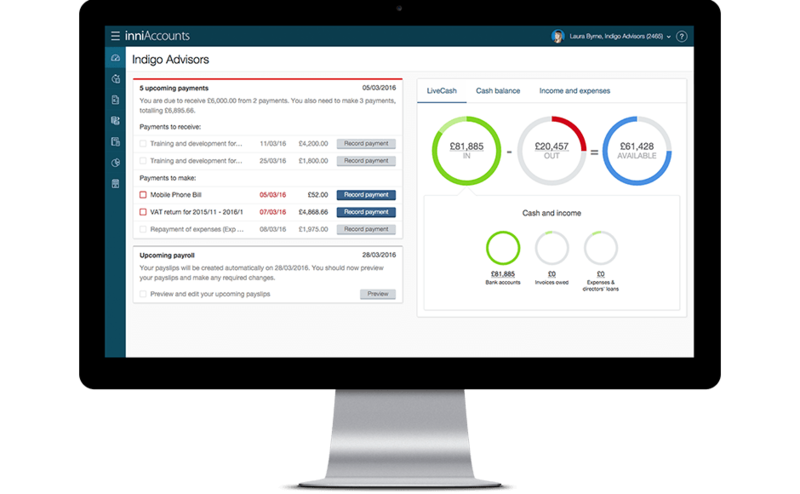 This enables you to plan ahead and make provision for large expenses or dividend payments more effectively. Associated project if you want to bill a client for the expense. We would advise that all allowable businesses expenses are paid for using the company bank account or credit card, but there may be times where you need to pay for them personally and then claim the expense incurred back from your company. You need to retain the receipts for the transactions and keep the same records as above for the transaction. The most common expenses that are incurred personally are where there is joint usage of the expense item; usage of the office space at home where the utilities are shared with the household for example. This can be claimed, but it is important to claim the correct proportion of the expense, which is where the timesheet record keeping is useful in determining the proportion to claim for. We’re talking specifically about business mileage in this section. If you are using public or hired transport, this is covered in the expenses section above as there is an audit trail of receipts. For business mileage is it important to track and log the journeys accurately. You do need to ensure that the mileage claimed can be supported by timesheets and the contract information showing the purpose of the journey. Possible task narrative as to why journey was required. Any other supporting receipts such as for parking/subsistence. So here is the payoff. We are confident that if you spend just fifteen minutes each day keeping track of your time, expenses and journeys you’ll never get behind in the office admin. Make a ten or fifteen minute playlist for your MP3 player and use it as a way to time your concentrated effort. Hit play and spend 10 to 15 minutes either at the start or the end of the day recording all of the details you need to keep your business running smoothly – all of the information we’ve mentioned above can be logged and tracked within the inniAccounts system. Create a holding area for items that need tracking. For the purposes of record keeping, this isn’t a dumping area – clear it each day and keep it separate from any ‘pending’ or ‘in’ trays of work. Have a separate folder for physical receipts and notes. Log it, scan it and file it. Input all the details you need to and ensure that you file all the receipts away each day. Being organised and focused in short bursts when it comes to admin means keeping your records up to date is painless – it’s as simple as that. By doing little and often, the information is fresh and it is less of a chore. You’ll have all the information you need to bill clients and keep your finances running smoothly. Take some time to set up your system the way you like it and commit to clearing all the record keeping admin each day. The next two articles will cover what expenses you can claim and record keeping for VAT in more detail. To receive an alert when the next article is released, follow us on Twitter @inniaccounts or on LinkedIn.